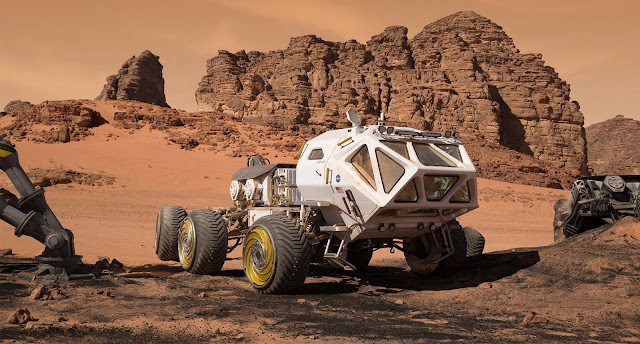 The upcoming sci-fi movie "The Martian" is based on the novel by Andy Weir and is directed by Ridley Scott (known for Alien, Blade Runner, Gladiator, Black Hawk Down, Prometheus and countless other movies). 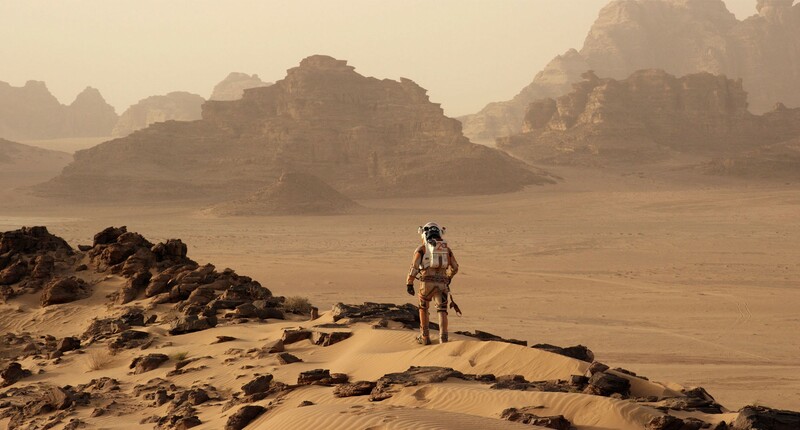 The Martian will hit theaters mostly on early October 2015 (see full list of release dates here). 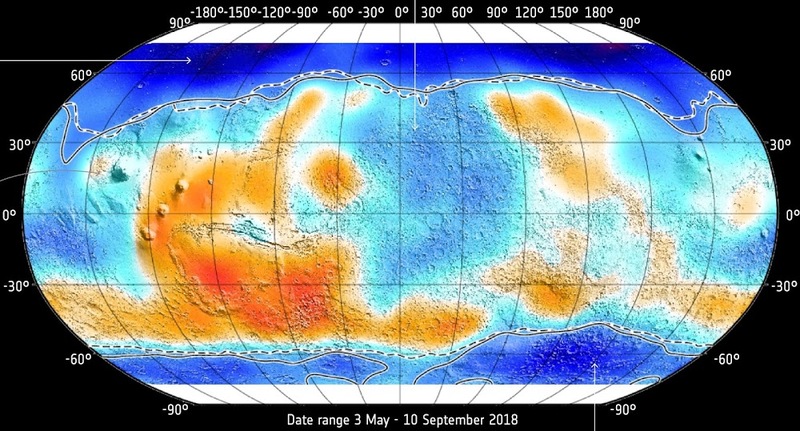 Plot in brief: "During a manned mission to Mars, astronaut Mark Watney (Matt Damon) is presumed dead after a fierce storm and left behind by his crew. But Watney has survived and finds himself stranded and alone on the hostile planet. With only meager supplies, he must draw upon his ingenuity, wit and spirit to subsist and find a way to signal to Earth that he is alive. Millions of miles away, NASA and a team of international scientists work tirelessly to bring “the Martian” home, while his crewmates concurrently plot a daring, if not impossible rescue mission. As these stories of incredible bravery unfold, the world comes together to root for Watney’s safe return." My first thoughts - Awesome! If the movie will be as good as the trailers The Martian will become the BEST MARS MOVIE EVER, overthrowing Total Recall from that throne. 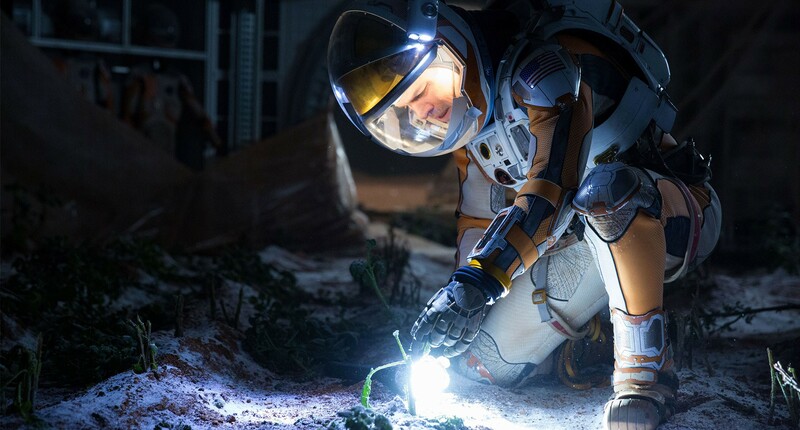 The Martian will hit theaters mostly on early October 2015 (see full list of release dates here). The Martian is based on the novel by Andy Weir and is directed by Ridley Scott (known for Alien, Blade Runner, Gladiator, Black Hawk Down, Prometheus and countless other movies). 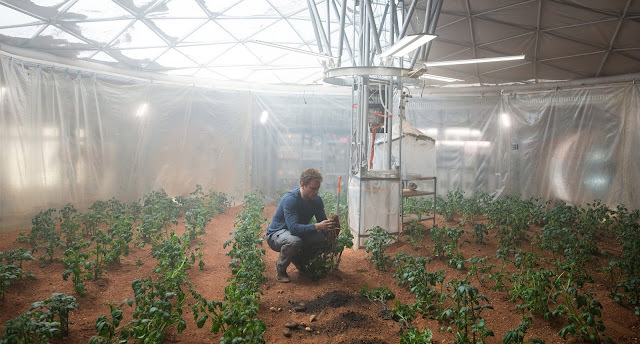 Plot in brief: "During a manned mission to Mars, astronaut Mark Watney (Matt Damon) is presumed dead after a fierce storm and left behind by his crew. But Watney has survived and finds himself stranded and alone on the hostile planet. With only meager supplies, he must draw upon his ingenuity, wit and spirit to subsist and find a way to signal to Earth that he is alive. 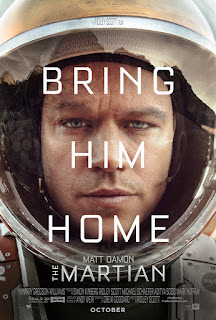 Millions of miles away, NASA and a team of international scientists work tirelessly to bring “the Martian” home, while his crewmates concurrently plot a daring, if not impossible rescue mission. As these stories of incredible bravery unfold, the world comes together to root for Watney’s safe return."